Wednesday evening was not just another dinner, bath time and bedtime type of evening. In fact it was an evening we will never forget! 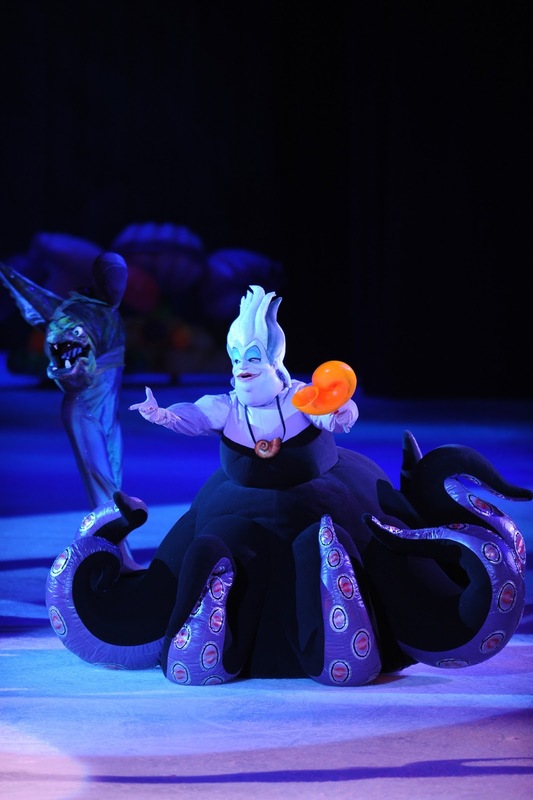 We had the amazing opportunity to attend the opening night of Disney on Ice. The show began at 7pm and opened with our favorite classic characters Mickey, Minnie, Donald and Goofy to get the crowd excited for the show. They are always so much fun to see! Then the show began with some of our beloved favorites from Toy Story 3. They hatch a plan to get back to Andy's room from the daycare and they provide so much entertainment while doing so! Our favorites were Barbie and Ken and their amazing Ice Skating routines! 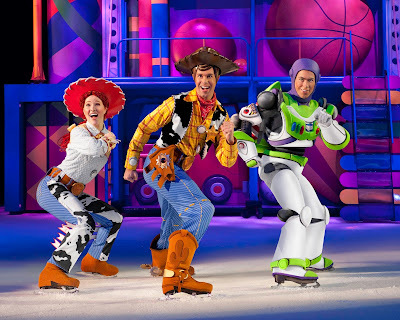 Not to mention the hilarious army soldiers who literally come flying onto the ice! This show is such a sight to see. It wouldn't be complete without our other favorites Woody, Buzz, Mr and Mrs Potato Head, Ham, Slinky Dog and so many others. 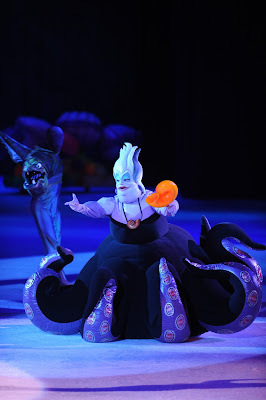 Then the show went classic with the beautiful and memorable characters from The Little Mermaid. Maverick is only 2 1/2 and he knows his Disney! He was so excited to see Sebastian singing some of his signature songs and the beautiful Arial and Prince Erik in their amazing ice skating duo! The ice skating, music and costumes completely blew me away. It's so special and even surprised us with bubbles falling allover the arena! 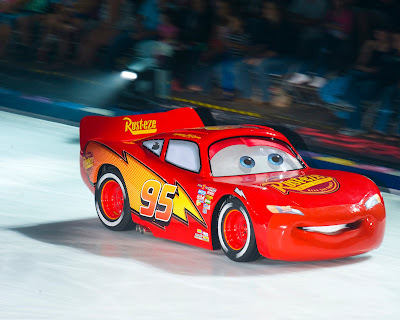 After a quick intermission the show opened back up with quite the high octane fun with Lighting McQueen and all of the fun and friendly characters from Cars. This show even had special effects that left Maverick (and us) speechless! He's still talking about the "fire" that came out with McQueen! 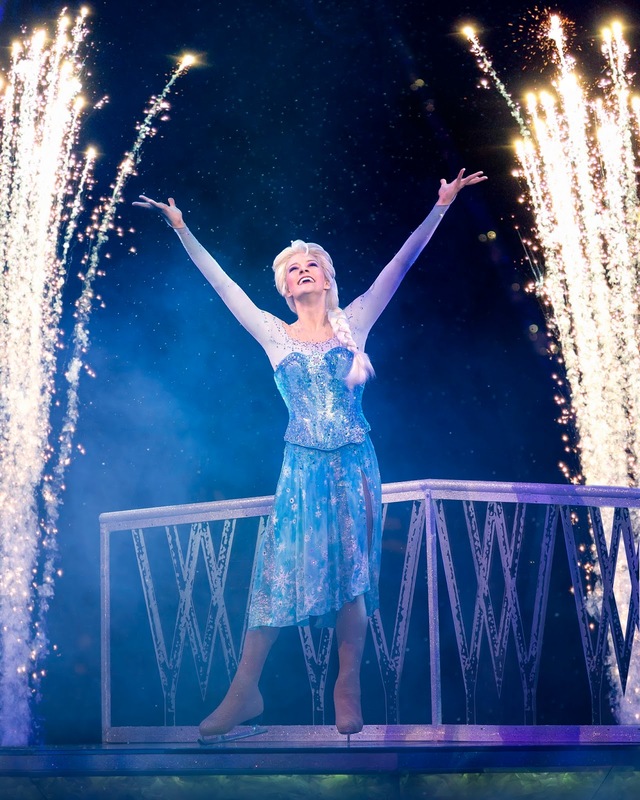 To close the show the memorable Anna and Elsa brought summer back to Arendelle along with all of their fellow fun characters from Disney's Frozen, Of course it wouldn't be a show without the whole arena belting out "Let it Go" and boy did we. It was such a memorable night for our family and we were so blessed to be able to spend a night out together watching our favorite Disney and Pixar characters in all their glory. 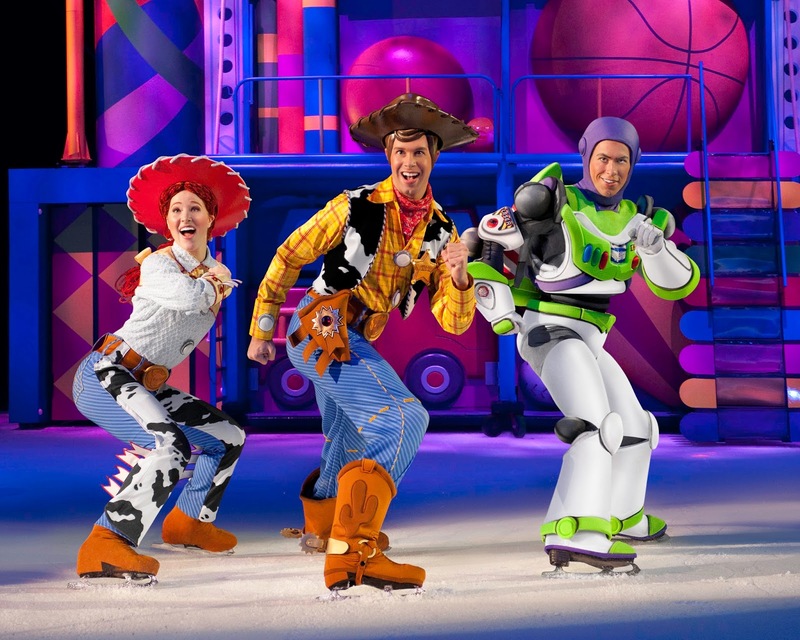 If you haven't seen the Disney on Ice we highly recommend it, You will be so glad you did! Catch the remaining shows this weekend in Oakland, CA where there are still seats and dates available to see this amazing show! *I was gifted tickets to the show for my review, but as always all opinions expressed are my own.